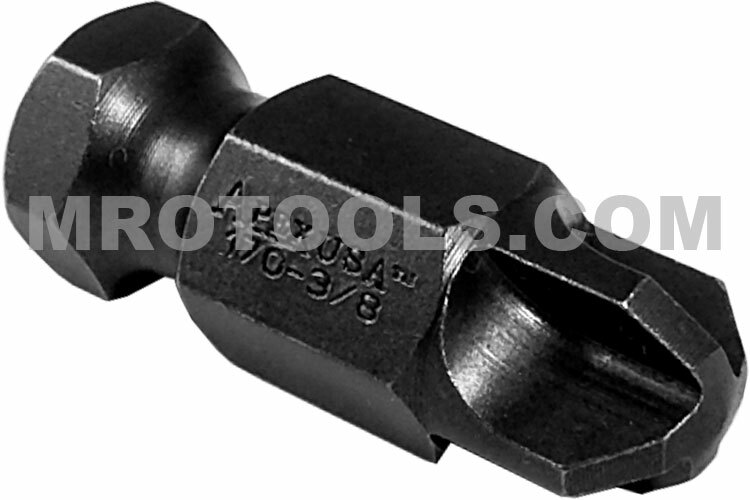 Apex® 7/16'' Torq-Set hex power drive bits from Apex® Fastener Tools, formally Cooper Tools. Apex® Torq-Set bits feature cruciform screw drives and are used in torque-sensitive applications. The Apex® Torq-Set head is similar in appearance to a Phillips drive in that it has a cross with 4 arms.